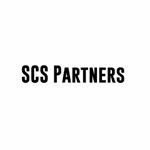 SCS Partners is a full-service branding agency that works at the highest level of the Film and TV industries. We specialize in Product Placement, and have divisions handling Talent Management, Social Media Strategy, Video Production, Event Bookings, and Promotional Product Manufacturing. Our indie record label specializes in female artists. We've recently launched our own Clothing Line. Our last few projects on the Film side include Fate of the Furious, Black Panther, Avengers: Infinity War. We made our client Steve Aoki - the face of Bud Light Platinum (replacing Justin Timberlake). Of the two music artists on our current roster, one has been the primetime DJ on Miami pop radio for the past 3.5 years. Our new vocalist just opened for Cage the Elephant and Weezer, was invited to be 1 of 5 artists at a national showcase at SXSW, and is opening for New Found Glory and Dashboard Confessional next month. If you're an Influencer who is making consistent income via social media, and are ready to take your career to the next level, please contact us - we'd love to hear from you. If you're an Influencer with a strong but developing fellowship - and understand what it means to work 8 days / week, please contact us - we'd love to hear from you.